There is a Galaxy Bullets and all different aged meteors are falling. 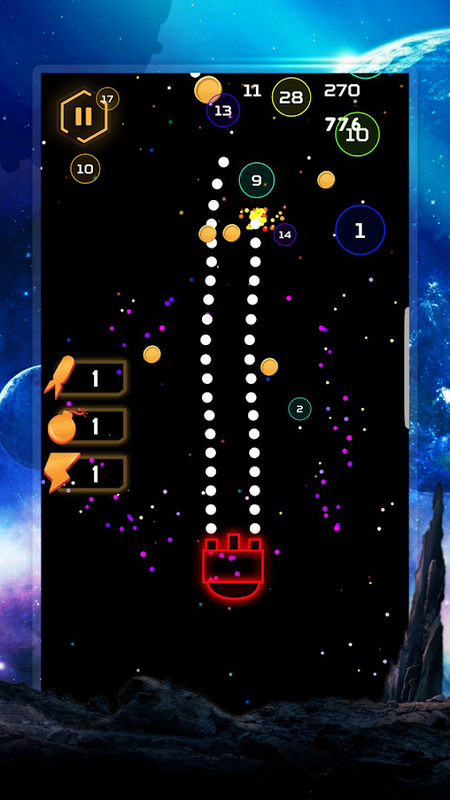 The frequency goes on increasing as you counter Bullets with your Space Shooter. 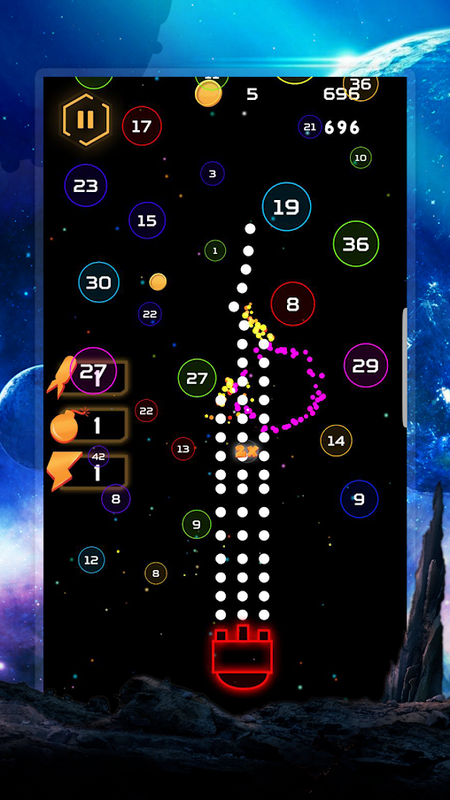 Plan and strategize how you’ll use the Space Shooter to save the Galaxy from Bullets. 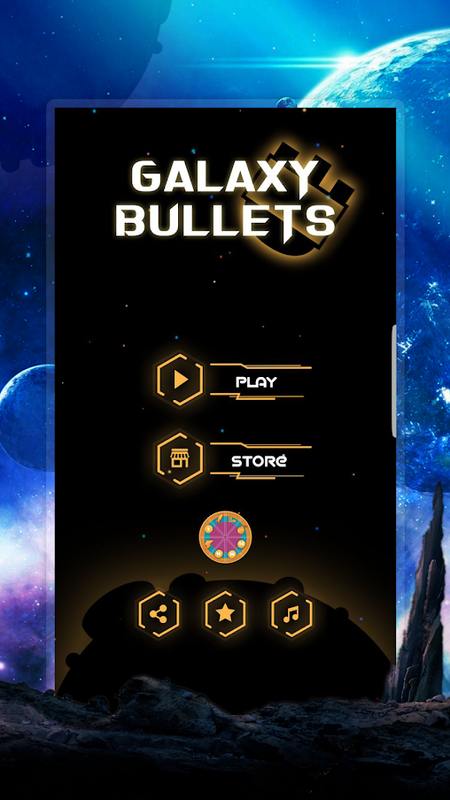 How to play Galaxy Bullets? 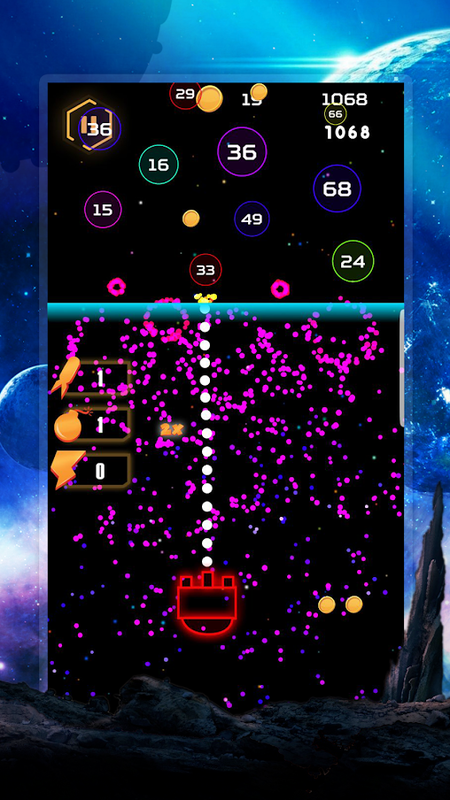 Tap on screen to move the auto Space Shooter in galaxy Bullets. Destroy the meteors based on its size and age. More the size and age, more time it takes to get destroyed. 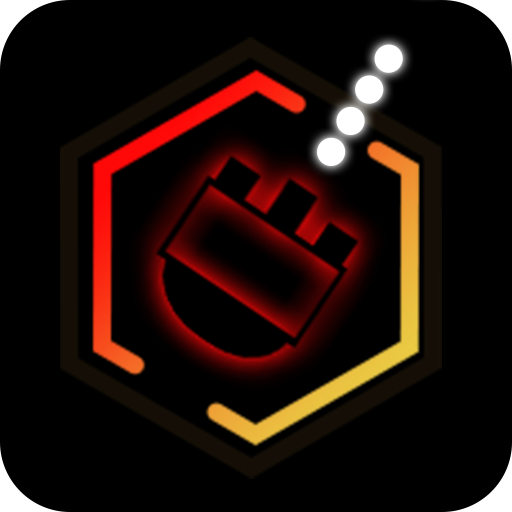 Your Space Shooter crashes in case a meteor reaches your basest vicinity. Rocket Launcher: Destroys the meteors in the vicinity of rocket. The galaxy is infinite. 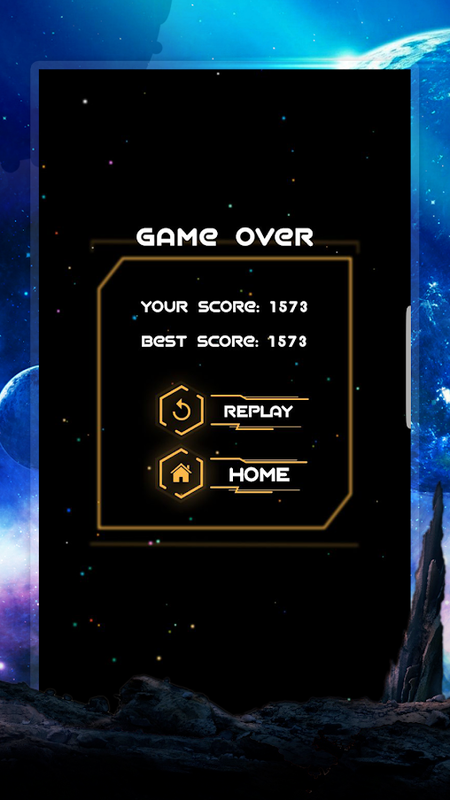 See how long can you survive and beat your own highest scores. Do not forget to collect coins and powers or super powers coming on your way. 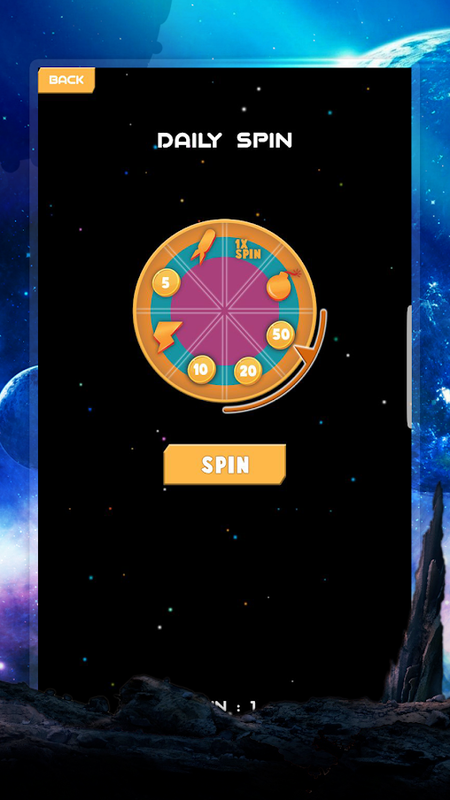 Get rewards in form of coins or super powers from the Lucky Daily Spinner. 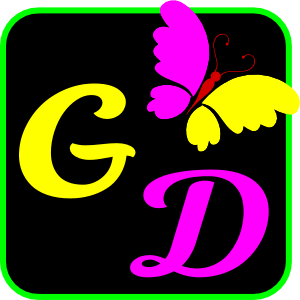 Test your luck every 24 hours. 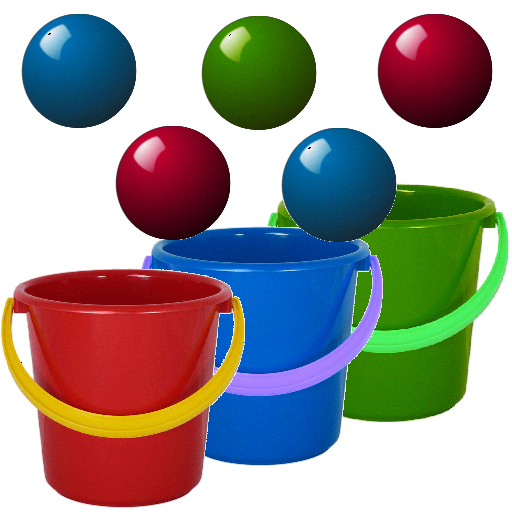 Buy Super Powers to beat your scores using the coins. You can purchase more coins from the store.